Amidst the ever increasing fuel rates which is making driving a car an expensive proposition , If I say that I can give you magic mantras which will reduce the annual budget of your car or I can make driving your car cheaper than earlier , Will you believe me? I am sure you won’t or even if you accept it will be half-hearted just to find out what actually I am talking about. I am talking about your car insurance premium which holds a major portion in your annual car budget. If you are able to reduce an insurer’s perception of your risk, you will get the benefit of reduced price. However, there are many factors you either can’t change or can’t change easily … age, gender, driving history and living place .Yet there are things which can be controlled to reduce the claim amount. Many insurance companies pay discounts up to 50% on the hefty premiums as no-claim bonus. So, pay for minor damages yourself. Avoid making small claims as this will affect your bonus. If you don’t claim on an insurance policy then you are entitle for an annual discount which amounts a substantial difference to the overall cost. There is certain riders in the policies which you are never going to make use of, so there is no point in paying for it. Save money by getting the right policy for you. Instead of blindly opting for various add-on covers choose them carefully according to your priority and their relevance to your requirements. Accidental damages and theft add a bulk to insurance costs. If you leave your car in a garage or driveway it means theft and accidental damage is less likely, resulting in a 3% – 7% drop in insurance costs. Purchasing a vehicle with a theft deterrent system or having one installed will most often get you a discount. – Loyalty can be rewarded when it comes to sticking with your auto insurance company. Find out the loyalty bonuses or offers which your existing insurer is offering. 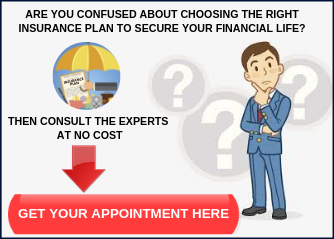 Your long association with a particular insurance company will help you in fetching a cheaper policy. Having multiple insurance policies with the same company will also get you a hefty discount. Believe it or not, your driving record is one of the top factors that insurance companies look at. Whether you’ve been in an accident or received a major traffic violation within the last few years can have a huge impact on your premium. If you drive less miles you will be entitled for a lower premium by the insurance companies. Ensure that you pay your premiums timely and get the policy renewed before the due date. Any delay could lead to losing your no-claim bonuses/discounts and can also lead to lapse of the policy. 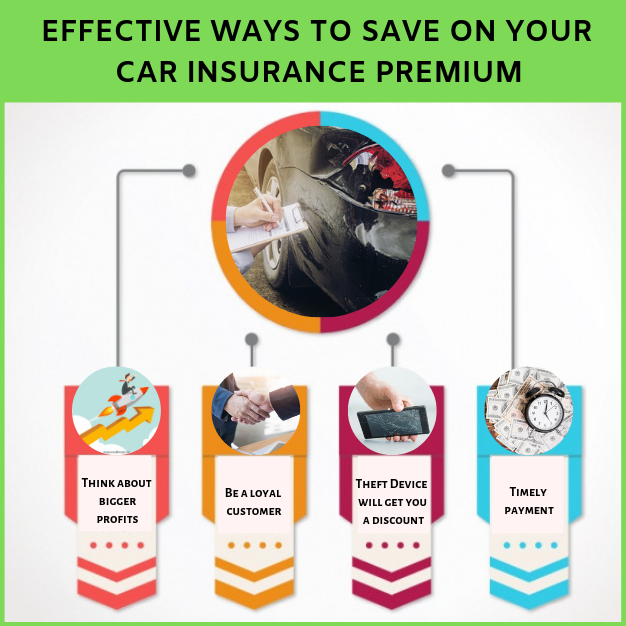 Although there are factors which are beyond your control when we talk about car insurance premium, the good news is that we have discussed those factors which are absolutely in our control and can minimize the amount of premium drastically. I would like to thank the writer for this.